Over the last couple of months, I’ve been writing about procrastination. I’ve decided, however, that it’s not so much about delaying tactics as it is about being distracted. Like Martha, who was distracted with much serving (Luke 10:38), I am easily diverted from my stated objective – writing. I allow things, outside stimulation, and even internal dialogue to disrupt my focus or “directed attention”, as the Merriam-Webster dictionary defines it. As I came up to my office to write – well, first I had to walk to make a stab at getting my 10,000 steps in. It might rain this afternoon so it seemed wise to walk first, write later. I prayed as I walked, so I was multi-tasking. Next a shower. I work alone but even I don’t want to smell myself. Wait. Before I could do that I needed to clean out the kitty box and start a load of clothes. Fix breakfast – oatmeal with sliced apple. The kitchen is a mess because we ate in front of the television last night and never cleaned up. Wait! Are those dust bunnies on the hardwood floors? I thought I just vacuumed. Did I record what I ate for breakfast? You see how it goes for me? 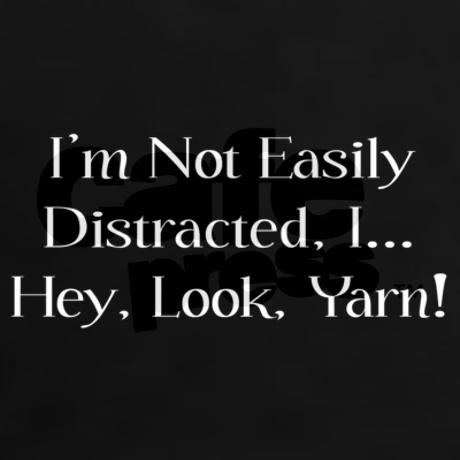 Maybe I have attention deficit disorder. Perhaps it is a case of “busy world clutter” I can’t seem to clear away or turn off. I’m not going to admit how many emails I’ve checked or texts I’ve written just in the matter of minutes it’s taken me to write 233 words. I read the book of Nehemiah and am struck by the fact that the man maintained his focus. “I’m doing a great work and cannot come down,” he states. He understood his mission. It was to rebuild the walls of Jerusalem. It would be easy to blow him off, to say so what, there were no distractions back then. After all, he didn’t live in the era of constant communication, 24-7 news, television, or movies. It’s easy to read the words of the Bible without ever seeing or really envisioning the story being told. I’m visual, a playwright, and an actress. I can’t help but see scenes when I read. So here we have Nehemiah. He’s in charge of Israel and rebuilding the walls of Jerusalem. As a leader, he would have been buffeted by people all day long. I was a manager and was constantly interrupted. I didn’t actually do my own work until about 5:30 pm after everyone went home for the day. Nehemiah led a nation. There were legitimate needs. There was bickering between those living outside the walls and those living within. Nehemiah 5:17 states he fed 150 Jews and officials – daily – plus visitors. He refused to live at the expense of the people so he also had crops, livestock, and workers to oversee. Above and beyond his responsibilities to the Israelites, he had to deal with the avowed enemies of the mission. They just didn’t like what he was doing and attempted to stop him any way possible. Those were the enemies without. He also faced traitors within the house of Israel (Nehemiah 13:4-9). His own countrymen. People he worked alongside of every day. We see that, like us, Nehemiah was besieged by potential distractions as soon as his foot touched the floor in the morning. Yet through it all, he “held fast to the work” (Nehemiah 5:16). Dear Lord, You know I’m so easily distracted even by good things. Help me to stay focused on you and the work you gave me to do. Tap me on the shoulder when I forget and start down another path. Like Nehemiah, let me boldly proclaim that in and through you “I’m doing a great work and cannot come down”. Amen. It shall be so. Categories: Uncategorized | Tags: Bible reading, blogger, blogging, devotion; transition; frustrated; change; psalms, devotional, devotions, devotions for today, escapism, procrastination, stress, work, writer, writing | Permalink. No shield left to hold. In battles waged of old. Too many wounds to stand. It needs a Savior’s hand. In You I will find strength to fight another day. In You I will find peace to withstand the battles fray. But for today, dear Lord, hide me in your hand. Hide me in your hand. …for God himself has said, I will not in any way fail you nor give you up nor leave you without support. I will not, I will not, I will not in any degree leave you helpless nor forsake you nor relax my hold on you! Assuredly not! [Hebrews 12:5 Amp] May the gracious God of peace hide you in His able hands today.